The charges against Bank of America marks the ninth CFTC enforcement action against major investment banks related to ISDAFIX rigging. 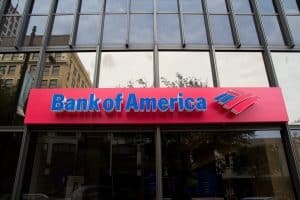 Bank of America has become the latest major investment bank to settle charges for manipulating the USD ISDAFIX benchmark and will pay a $30 million penalty. The US Commodity Futures Trading Commission (CFTC) issued an order filing which stated that Bank of America had made false reports and tried to rig the US Dollar International Swaps and Derivatives Association Fix (USD ISDAFIX) to favour its trading positions. Traders at Bank of America were found to have attempted to rig the benchmark by bidding, offering and trading swap spreads and US Treasuries at and around the 11.00am print time to affect rates. The ‘11.00am print manipulation’ tactic was also deployed by traders and brokers at NEX Group’s subsidiary Intercapital Capital Markets, JP Morgan and BNP Paribas, which has led to several multi-million dollar fines so far this year. Bank of America’s misconduct took place from January 2007 until December 2012, as it looked to benefit its derivatives positions, including those involving cash-settle options on interest rate swap and interest rate swap futures. Earlier this week, NEX Group was fined $50 million for its attempted manipulation of USD ISDAFIX, while BNP Paribas and JP Morgan settled their own manipulation charges and paid $90 million and $65 million respectively in fines. “This marks the ninth CFTC enforcement action involving manipulative conduct in connection with the USD ISDAFIX benchmark,” said James McDonald, CFTC director of enforcement.